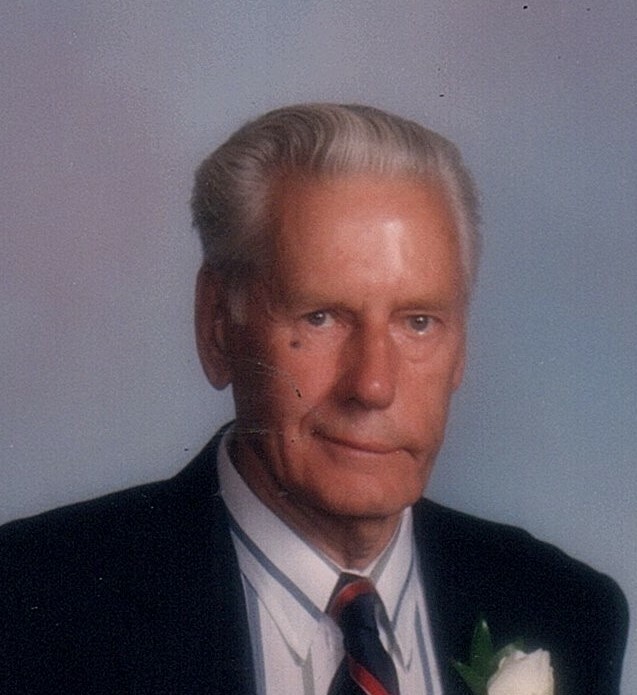 James R. Michals, 95, of Virginia, passed away Monday, April 30, 2018 at Essentia Health Virginia. Private family services will be held. Burial will take place at Greenwood Cemetery. Military Honors will be accorded by the Virginia Honor Guard. Arrangements are with Range Funeral Home in Virginia. To sign the online guest book or to send condolences, please visit www.rangefuneralhomes.com. James Robert Michals was born June 21, 1922 in Virginia to Michael and Frances Michals. He was one of the first classes in the Marquette School and he graduated from Virginia Roosevelt High School at the age of 16. Following high school, James attended Virginia Junior College and then went on to SW Missouri State College. James enlisted in the U.S. Army Air Corp during WWII and was stationed in Italy. He received his honorable discharge in 1945. He married Alice Terrio on October 2, 1942. James was employed by U.S. Steel as an electrical supervisor, retiring in 1983. During his early retirement years, he was a dedicated caregiver to his wife. James enjoyed spending time with his family at the cabin at Lake Leander. Grandpa will be remembered for so many things – his love of gardening, baking, storytelling – but most of all for his love of family. He was a devoted husband, father, grandfather, and great grandfather. Special thanks to his daughter Jyll and family for their loving devoted care. Grandpa, we will miss you at the coffee parties. I have heard many kind and sweet stories of your Dad and Grandpa – especially about the delicious pies he made. I’m sure he will be truly missed and forever loved. Our deepest condolences to you all. We have been his neighbor for many years. Jim was a very nice man. We enjoyed visiting with him during the summer when we would see him sitting in his backyard. He liked when we would bring our dog over to see him too. He had many stories he shared and often talked about his family. Our sympathy to you all. He will be missed.